"Let us reject theories anchored in the relativity of 'national art'. We must become universal! Our own racial and regional physiognomy will always show through our work." "Understanding the wonderful human resources in 'black art', or 'primitive art' in general, has given the visual arts a clarity and a depth lost four centuries ago along the dark path of error." "...Our primary aesthetic aim is to propagate works of art which will help destroy all traces of bourgeois individualism. We reject so-called Salon painting and all the ultra-intellectual salon art of the aristocracy and exalt the manifestation of monumental art because they are useful." "The creators of beauty must turn their work into clear ideological propaganda for the people, and make art, which at present is mere individualist masturbation, something of beauty, education, and purpose for the everyone." "Our fundamental purpose was to create, invent our art and, if possible, something so ours that it wouldn't look like anything else." "No one can deny that the satirical cartoon, or the visual arts themselves, are powerful weapons of social change". "Painters and sculptors should follow in the steps of primitive Italian artisans, who put beauty at the service of the Christian propaganda of their time." "Tools, like materials, are not inert elements in hands of a creator of the arts, but forces that determine the manner and style of art. The first thing that an artist must understand is that he will not be able to create anything if he is not able to listen to the generic voice of his tools and materials." He studied art at the San Carlos Academy in Mexico City where he participated in the student strike of 1911, protesting against the antiquated teaching methods of the school and demanding the director's resignation. It was the first overtly political act in a life that would be heavily influenced by personal ideology. The strike eventually led to the creation of The Open Air Painting School of Santa Anita, where Siqueiros was one of the first students to enroll. In 1914, Siqueiros enrolled with the rebel Constitutional army, fighting against the Victoriano Huerta government. During his extensive travels around Mexico with the military, he discovered pre-Hispanic art and witnessed the living conditions of Mexican labourers, two experiences that would deeply inform his art. Arriving in Europe in 1919 on a government grant, Siqueiros was profoundly impressed by Cubism, Futurism, and Italian Renaissance frescoes. He envisioned an art that would invest the traditions of painting with modern significance and politics. Yet, in his Barcelona Manifesto, he argued for a "new generation" of artists who could break free from the "decadent influences" of European art to embrace their own native traditions. While in Paris, he met Diego Rivera, another Mexican artist who shared his vision for the future of Mexican art, and the pair quickly became excellent friends. Siqueiros returned to Mexico in 1922, where he began working on commissions from a new, revolutionary government. His mission was to create public art that could educate the workers, inspired by his Marxist beliefs. During these years, he also worked together with Rivera to found the Union of Technical Workers, Painters, and Sculptors, and editing the anti-government publication, El Machete. In 1930 he went to the USA, having been forced out of the Communist party and his own country. His stay would last only a few years, as his political interests were at odds with his American patrons. Working in Los Angeles, his two major projects were both whitewashed over shortly after their completion. His difficult ways and moral absolutism also effectively ended his friendship with Rivera, whom he accused of selling out to the bourgeoisie. In 1936, Siqueiros traveled to New York, where he led the Siqueiros Experimental Workshop, an influential laboratory for modern techniques in art. Jackson Pollock, who had already shown interest in Siqueiros' work, attended the program. Heavily influenced by Surrealism, free association, automatism, and psychoanalysis, the course included an exercise in which a canvas was placed on the ground and paint was thrown on it directly from the cans of paint, which had had a hole poked into them. This was, for Siqueiros, a first step of artistic creation, in which the artist had to engage with the work using his entire body, as if in a ritualistic dance. He would call this the "controlled accident" in painting. The impact of this exercise on Pollock's drip paintings is evident. Two years later, Siqueiros went to Spain to fight with the Republican army against Francisco Franco's fascist regime. When he returned to Mexico in 1940, he was soon forced into exile for his leadership role in a failed assassination attempt against Leon Trotsky, the antithesis of his Marxist-Stalinist ideology. The 40s and 50s were intense decades of artistic productivity for Siqueiros, as he painted murals in Chile, Cuba, and Mexico. He also taught and gave conferences, spreading his Marxist ideals throughout Latin America. Along with José Clemente Orozco, Rufino Tamayo, and Diego Rivera, he showed work at the XXV Venice Biennale (the first time Mexico had ever participated) and received the second prize. In 1960 Siqueiros, ever the polemicist, was imprisoned for the last time for "social dissolution" - a crime that no longer exists. He was sentenced to eight years for his criticisms of Mexico's president and his role in labor agitation, but he was released after four years. From 1965-71, interposed with other projects, he worked on his most ambitious piece: The March of Humanity on Earth and Toward and Cosmos, an immense work that would occupy over 4000 square meters. 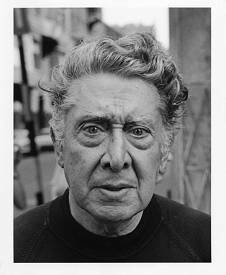 Although Siqueiros's politics would continue to threaten his artistic production and his freedom, he continued to pursue public mural art as a means of propaganda and activism through the early 1970s. When he won the Lenin Peace Prize in 1967, he donated the money to the then war-ridden Vietnam. 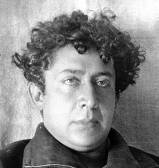 Diagnosed with cancer in 1973, Siqueiros died the following year. His extensive autobiography Me Llamaban el Coronelazo (They Called me the Great Colonel), was published posthumously in 1977. The notion of the "controlled accident," as adopted by Siqueiros, influenced Jackson Pollock, who attended his Experimental Workshop in New York. The combination of Surrealist and psychoanalysis that defined this practice was also highly important to Pollock's painting. 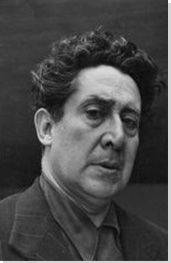 Siqueiros was also a pioneer in championing the use of industrially-produced materials and techniques for his work; his personal axiom was that revolutionary art demands revolutionary techniques and materials. The use of industrial material, including airbrushes and commercial lacquers, would later be emblematic of Pop art, although those later artists used these materials to produce diametrically opposite content. Where Pop artists embraced these materials to replicate the look of mass-produced objects, Siqueiros considered the paintbrush to be "an implement of hair and wood in an age of steel" and encouraged artists to adopt modern tools as more representative of the modern experience. His work also influenced Street art, specifically socially concerned artists of the 1960s, which were inspired by his short-lived, highly critical and politicized Los Angeles mural, Tropical America (1932). Although his inclusion of anti-capitalist, anti-imperialist imagery led to the destruction of this piece, his unrelenting dedication to his political ideology was memorable. Lastly, the influence of the Polyforum Cultural Siqueiros is evident in the work of Israeli-French painter Yaacov Agam. First published on 22 Nov 2016. Updated and modified regularly.